I’m sure Shakespeare would be mortified if he knew I was playing around with those famous words from Hamlet, but it was a genuine question asked of me by a reader of mine, wondering whether she should use BB Creams and if so, which one was best for darker skin. I love little challenges like this so off I went to explore that very question. I must first start off by saying that I never used to wear BB Creams as an alternative to foundation. I’m not one to continuously clog my pores with liquid foundation as I like to keep my skin as light as possible. 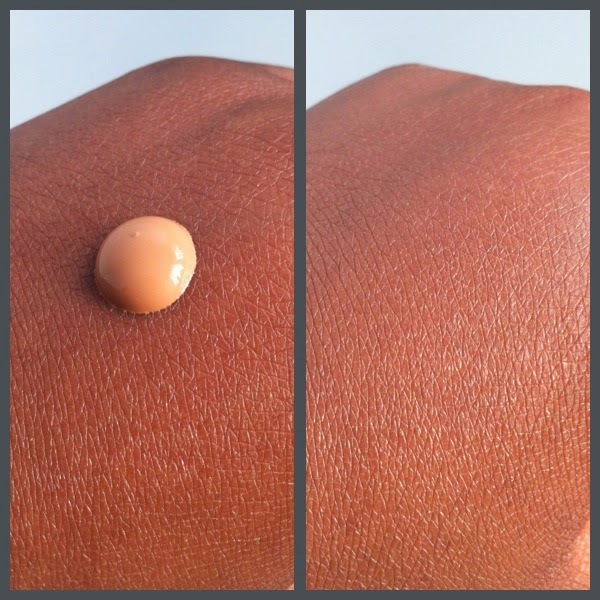 My hand was mostly forced into using powder as trying to find liquid foundation for my skin tone was impossible; even after finding my dream foundation I still mainly use powder. My skin is quite sensitive and I don’t like using thick foundations or heavy blushers - my skin needs to breathe so I keep my makeup to a minimum. BB Creams seemed like a pointless step for me as again, using powder allows my skin to breathe, but you can’t find the answer to questions without doing a little experimenting. After reading up on them a little, I found that BB Creams are designed to help with skin blemishes and give an even skin tone without having to resort to a heavy foundation, which is great for this time of year with the increasing temperatures. I was looking forward to finding some goodies! I found these items by GOSH, in Superdrug. I know some people have a bee in their bonnet about Superdrug, but let me tell you something; Superdrug are single handily the only high street cosmetic store providing inexpensive brand products for darker skin. People with a darker skin tone shouldn’t have to resort to the Internet or huge department stores (Debenhams and the like), which predominantly stock expensive brand products, to find something we can use, so I for one am truly grateful to have Superdrug to turn to for items such as these. This is wonderful! 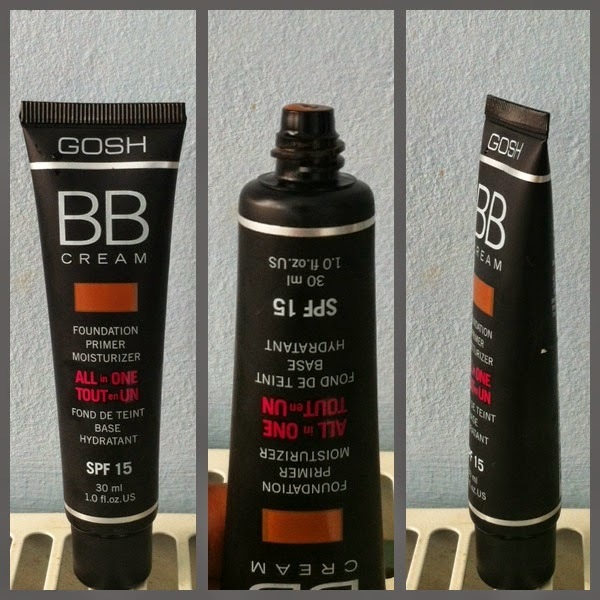 I never thought I would find using BB Creams as useful, but my skin felt great for the three days I tested this. 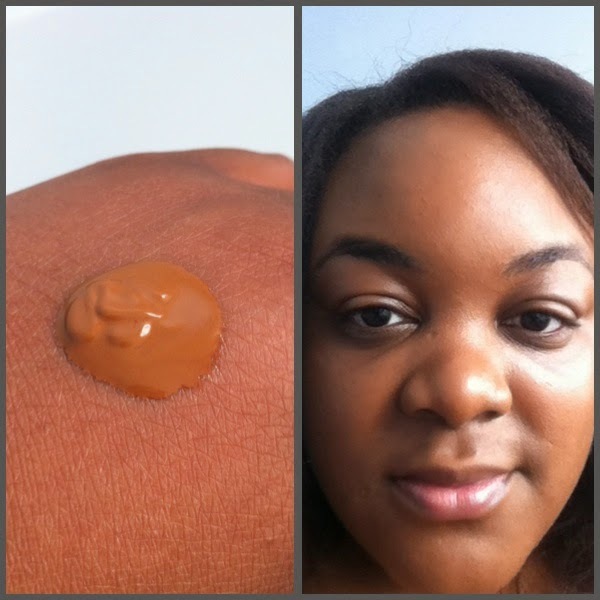 It works as a foundation, primer and moisturiser, and really gave my skin great coverage with one layer. It is formulated with mineral pigment and means each of the five shades are designed to blend with your natural skin tone. The cream itself is thin (see note) and left my skin feeling light with a gorgeous shimmer. This comes in a 30ml squeeze bottle and although that may not seem very big, I only used a very small amount for each application. NOTE: Although I used my fingers to apply, I would advise using a sponge as this is very runny. I was really happy with the results, but I had to move onto something new – the CC Cream. The CC Cream comes in six shades in total, so one more than the BB Cream, and this is great news as all skin types will be able to find a shade which works for them. GOSH use light reflecting pigment to help keep the skin even and the cream itself is oil free – great news for those with oily skin! I was really surprised that the shade ‘Golden’ worked on my skin as I thought it might be a little too light, but it blended well and I was happy with the results. 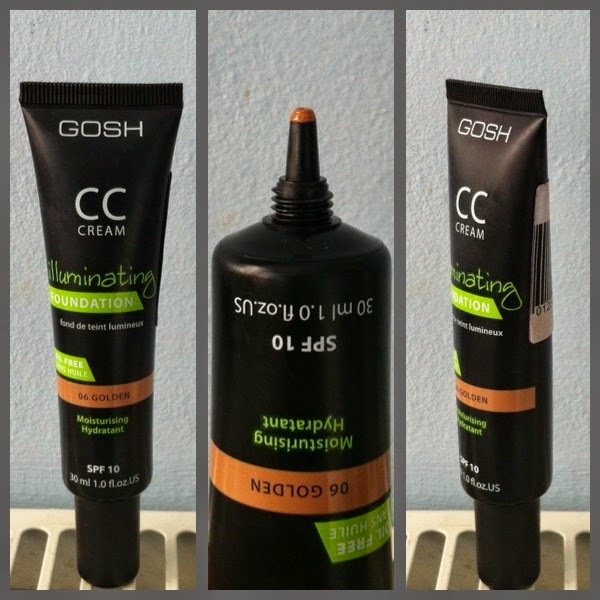 I only used this CC Cream for one day as upon wiping the cream off in the evening, I noticed a very small, faint rash on the base of my chin. Being someone with sensitive skin I didn’t waste much time in washing my skin fully with my usual face wash and applying some E45 to the affected area. The rash was gone by the morning, but I stay clear of any products that give my skin even the slightest irritation - this is why there is no picture of me with this on my face as I wasn’t going to reapply for the purpose of this post. If your skin is a little more accommodating, please give this a try as I did feel the cream worked well on my skin. 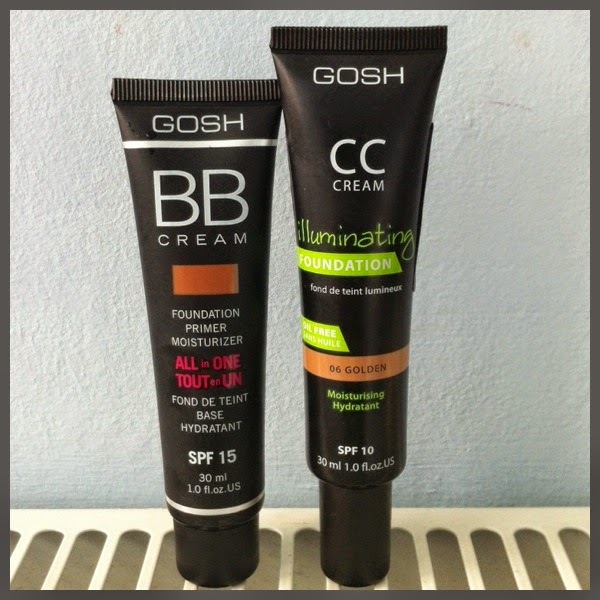 Out of the two products and discounting the irritation the CC Cream gave me, I would absolutely encourage you to try the BB Cream. I just felt it worked better for my skin and gave it better balance. Will GOSH be my pick for the future? Check out my post on Tuesday where I turn to Sleek Makeup. Ahh I wish I had seen this before I went and bought the v expensive Bobbi Brown Tinted Moisturiser! I may have to give this a try although the Superdrug in my town is rubbish so I will have to order online and hope for the best!